Description: Recommended enhancement: Fighter. You're not a mod. You don't have any special powers. 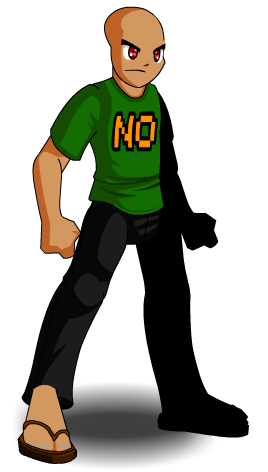 Sure, you're a pretty good swimmer and you whistle through your nose but it takes more than that to be an AQW Moderator. Description: This is a completely average hit which does perfectly normal damage. Description: You really have no clue what you're doing. Just hit some buttons and hope something works. Does slightly higher than average damage with a higher than average chance to crit. Description: You're probably fighting a monster. Why wouldn't you panic? Doubles haste so you can flap your hands at the thing for a while. Note: Increases haste by 40% for 6 seconds. Description: How do heroes handle all this fighting all the time? Take a few pills and you'll feel better. Casts a heal over time and reduces incoming damage for a little while. 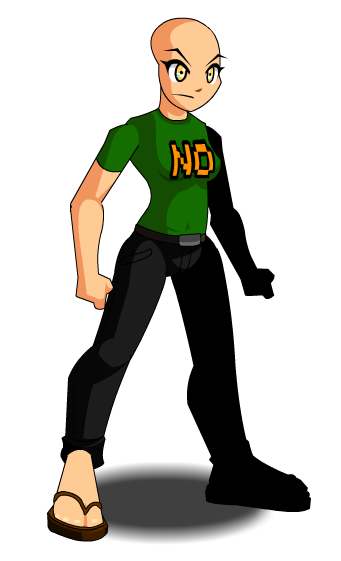 Also see NOT A MOD ARMOR. Thanks to GhostTomi, PkerSlayer, Tendou no Mazo and Zero IX.